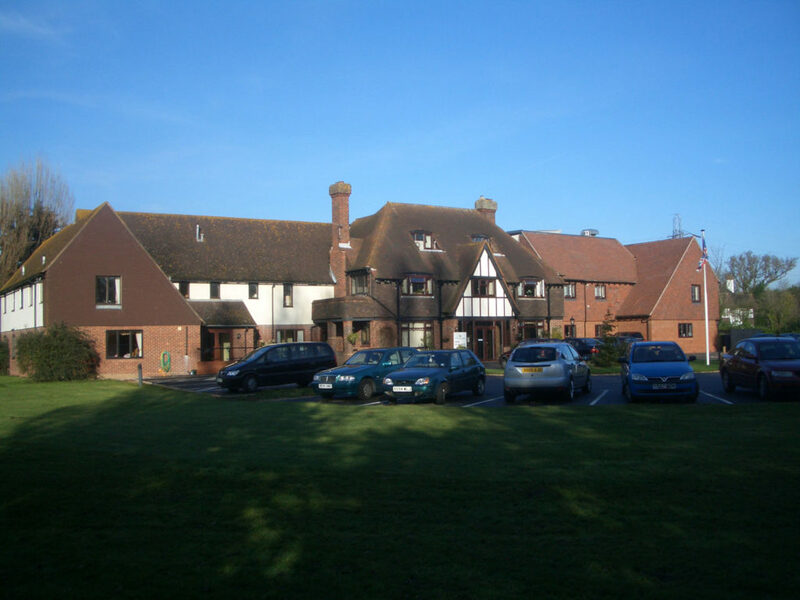 Tudor Lodge Nursing home caters for 56 residents and offers exceptional nursing care in a lovely country house setting. 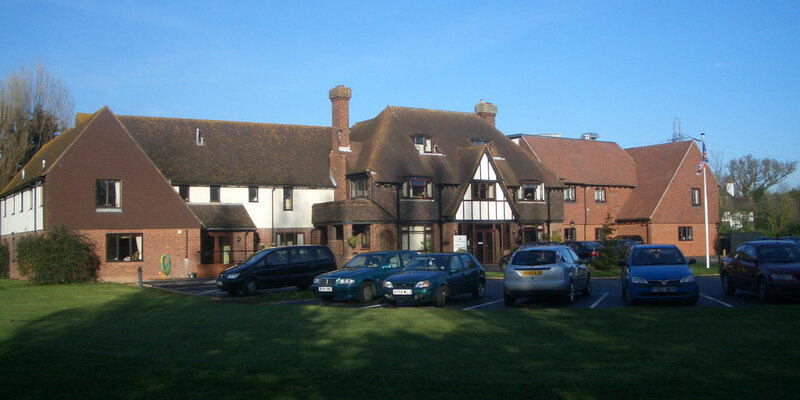 A small and exclusive nursing home in Lee-On-Solent, a stone's throw from the beach. 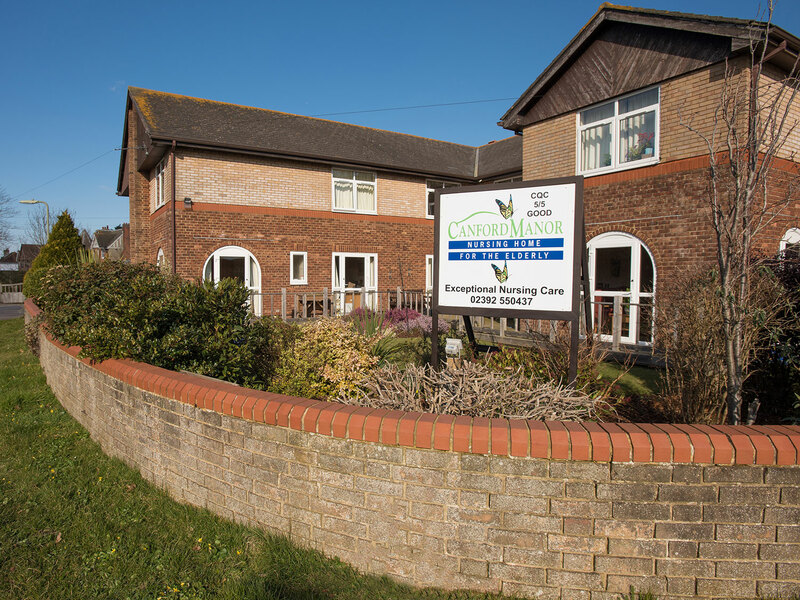 Heathfield Care Homes Ltd is a family run business, running two exceptional nursing homes in Fareham and Lee-On-Solent; Tudor Lodge and Canford Manor. 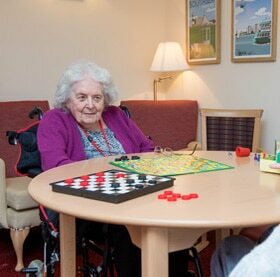 Residents at our care homes enjoy very high staff to resident ratio, with staff that have the time and dedication to really care for them and make them feel at home. 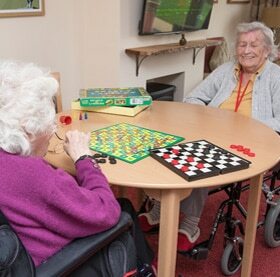 Tudor Lodge and Canford Manor are both nursing homes offering exceptional levels of nursing care. 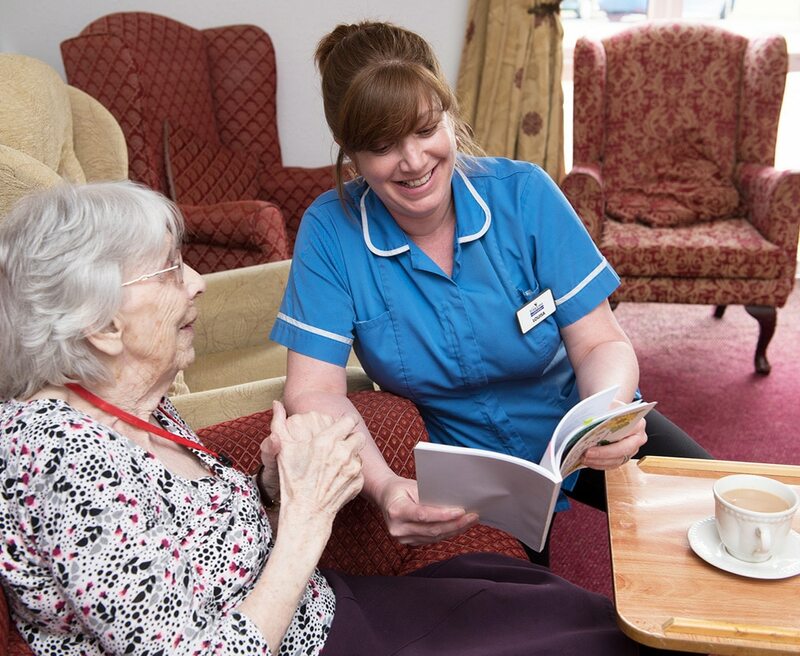 Our staff are highly trained in nursing care and both homes offer a wide range of specialist and registered care options - Visit the Our Care page for more information. Everyone living at the homes has a detailed care plan which instructs the staff looking after our residents, personalised and individual treatment. 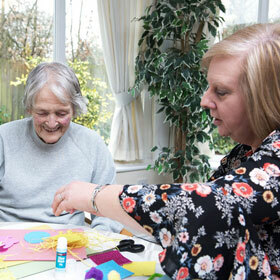 We really care that we can make a difference to anyone living with us and help them have a good day. The home has 50 bedrooms across 2 floors and is registered for 56 residents. The home has two wings, the original building (henry wing) and the new wing (Elizabeth wing) which opened in 2009. There are 44 single rooms and 6 shared rooms of which 46 are rooms with an ensuite WC. There are six communal lounges/dining rooms, all of which have been finished to a very high standard. There are 4 assisted bathrooms, 9 communal toilets, 3 nurses offices/stations, 2 shaft lifts including a full bed lift, hairdressing salon, purpose built catering kitchen and equipment, purpose built laundry and clothing/linen store. Within the extensive grounds is a pond with koi carp. Dear M & J. L and I would like to take this opportunity to thank you and all your staff for the dedication and exceptional level of care given to my father over the past 2 years. We are extremely grateful to your dedicated team who cared for my father on a daily basis. We know from firsthand experience having visited every day, how well my father was cared for and how much care and devotion was shown by everyone. The staff all made such a difference to his quality of life. No matter who was on duty regardless of time, day or night, we know he received the same high quality of care and for this we are ever thankful. It was an extremely difficult decision to move my father into a care home, however strangers quickly became friends and any apprehensions soon dispelled when we observed the professionalism and total dedication of each and every member of your team and how well my father was treated with love and respect. On one occasion we visited him on his birthday, his door was closed and the carers were changing his bedding singing "Happy Birthday", we thought this was wonderful. We were very fortunate some 5 years and a half years ago to visit Tudor Lodge and find a friendly and welcoming atmosphere. We knew instantly it was the right place for our Mum. Mum loved Tudor Lodge and became part of its extended family, joining in with all the activities. As the years passed and Mum grew more frail, she was monitored and cared for right to the very end where she passed peacefully. It was a comfort to see Tudor Lodge so well represented at her funeral. My brothers and sister join me in thanking you for the care and compassion you showed Mum during her stay with you. Thank you to you and all the ladies working at Tudor Lodge - and M too - for all the excellent care you gave my Mother during the past six months. I know that she was extremely difficult but I cannot but admire the patience shown by you all. My grateful thanks to all the staff, nurses and carers who made the last weeks of my husbands' life bearable for him and his family. Mum and I would like to thank you and your staff for the care that you gave Dad during his final weeks. We were so pleased that he died at Tudor Lodge and did not have to be moved to hospital. We would like to thank Anija especially for making Dad's final hours as comfortable as possible and for alerting us to his deterioration so that we could be with him at the end. Kirsten too was very kind and attentive to Dad's increasing needs and it was such a weight off our mind to see him so well cared for. All the carers were unfailingly kind and helpful as well. Your home was recommended to us and I would have no hesitation in doing the same. Mum has decided that if and when the time comes for her to move into care, you will be top of her list! We have not yet received your account but of course will pay it immediately once we do. Please convey our thanks to all the staff who helped Dad - we are truly grateful. Dear Mark & Jane Thank you very much for looking after my mother so well in her almost 6 year stay at Tudor Lodge. The quality of life she enjoyed in your home was far better than the existence she had whilst living on her own. Her family are very grateful that she was so well looked after and her needs kindly dealt with by those looking after her. Thank you for the wonderful care you gave to our dear friend and for everything you did for her. To Pat and all the staff at Tudor Lodge I would like to thank all of you who helped look after H, she once told me it was “quite a nice hotel”. You were all so kind to her and to me from beginning to end. It helped me a lot being able to rely on you. To the staff at Tudor Lodge, thank you so much for all the kindness and care you gave to our Mum. To all the staff I wanted to thank you for the great care and compassion you showed my Mum over the past two years. You are a great team and I cannot thank you enough for the way you treated us all. Thank you so much for giving my Mother such a special 103rd Birthday. The buffet was perfect and the cake a work of art. I have been here 4 years now and am about to celebrate my 100th Birthday! I have found it a most kind home with helpful staff at all times. 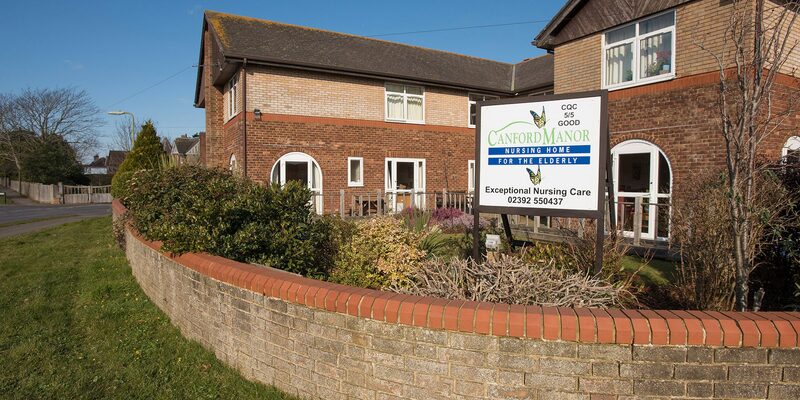 Canford Manor nursing home offers exceptional nursing care in a nursing home a stones throw from the beach n Lee On Solent. With over 20 years experience providing care to elderly and terminally ill, we pride ourselves in offering a highly professional care service with a personal touch. 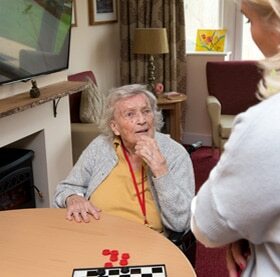 We are always honoured to be chosen to provide care and are pleased to accept residents for long term stays. 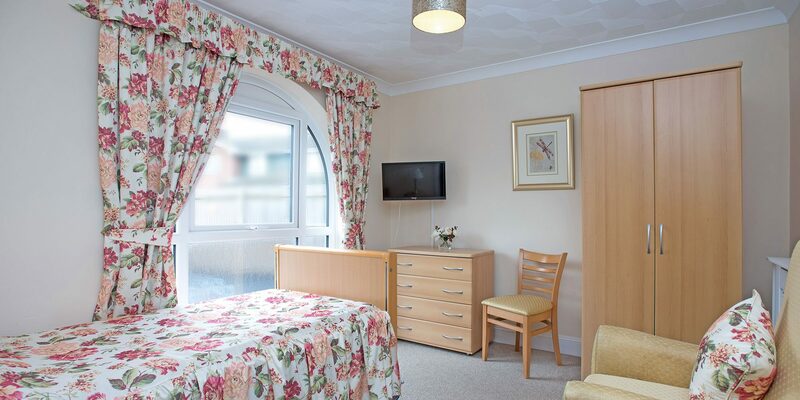 Canford Manor aims to provide its residents with a safe, relaxed and homely environment in which their care, well being and comfort are of prime importance. 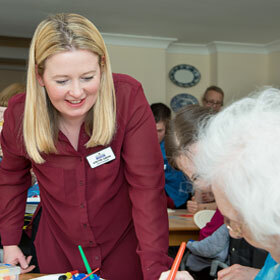 All staff within the home are recruited for their caring nature, kind attitude, appropriate qualifications and a desire to meet the needs and make a difference to the residents each day. 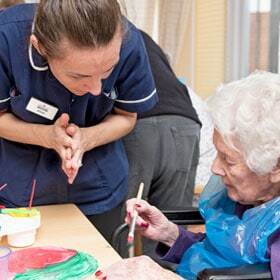 The staff at both Tudor Lodge and Canford Manor believe that once someone needs the additional levels of care we offer, as well as the home being safe and caring, that the other small details of day to day life that make each day worth living are also catered for. We offer a very personal level of service and have a long list of staff members and the owners nearest and dearest that have lived at our homes. The caring service we offer was designed with our families in mind, we quite literally care for each resident as if they were our own and they are treated as highly valued welcomed guests. 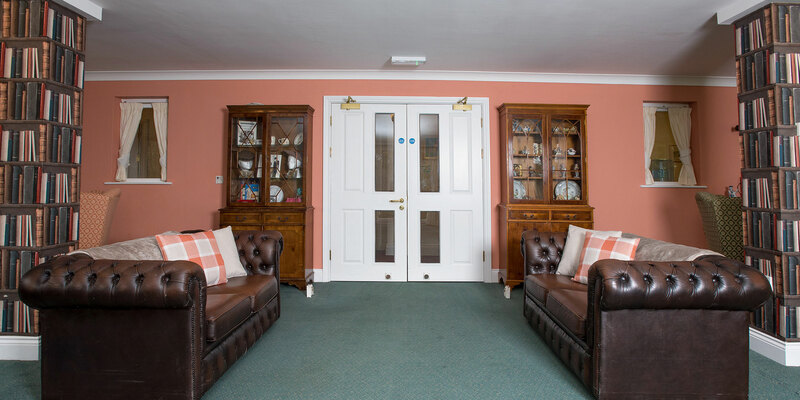 We offer a home where individuality is emphasised, with plenty of staff on duty ensuring they have time to give attention to small detail and where residents have as much say and choice in their day to day life as is possible to give. Call the teams at Tudor Lodge and Canford Manor for more information about our nursing care and to book a tour of our facilities.